Technological advancements and ease to travel across the world has made it possible to earn handsome revenue from travel and tourism sector. Nations are investing considerable amount to promote travel and tourism with aim to attract more foreign tourists across the world. According to an estimate made by UN World Trade Organisation, 1.6 billion tourists will travel across the globe in 2020. What can be the adverse affects of increased travel and tourism in the region? Inspite of irrefutable economic benefits, increased tourism in specific region can destroy natural ecological conditions in the region that will finally contribute to global climate change. This industry is capable to generate good profits but often paying high environmental price tag. Excess of air travel and related activities have several adverse affects that can cause global warming and greenhouse gas emission. International communities, which are working hard to increase awareness about global warming and pollution have mentioned that if governmental authorities and private organisations are working together to drag more travelers in their country's boundaries, they must have to prepare a comprehensive plan to protect the environment by adopting processes to reduce emission of carbon, efficient waste management processes and conservation of scarce resources and natural ecosystem. 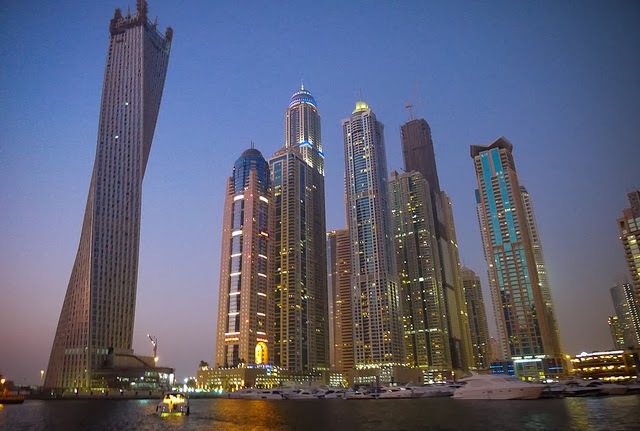 United Arab Emirates is a good example among countries investing huge money in travel and tourism sector. Soon after the discovery of oil, State Governments of UAE have started focusing to buildup infrastructure, accommodation and business facilities. Dubai and Abu Dhabi are the two major UAE states that have been showing exceptional growth in business and travel sector. Both the Emirates have been working on strategy to reduce their dependency on oil exports to generate GDP. Rather, they have been trying to increase percentage amount of GDP earned from other resources like business, trade, finance, real estate and travel and tourism. Abu Dhabi, the capital Emirates of UAE with largest land area has been focusing to sustain its environment and ecosystem by taking green initiatives. Emirate has become more environmental conscious and has started launching several Eco-friendly projects to improve environmental standing to create a sustainable future for everyone living and visiting. Desert Islands and Masdar City are the two projects truly representing Abu Dhabi’s efforts towards conserving environmental conditions and reducing its part in global warming. Desert Island consists of eight islands including Sir Bani Yas, Dalma and Discovery. Whereas, Masdar City will be the world’s first zero-carbon and zero waste residential project. The Abu Dhabi Tourism Authority (ADTA) has been taking serious measures to increase savings from energy, water and waste-t- landfill in coming years to improve environmental performance. Conserving environment is a great challenge for Dubai as it has become a business, trade and tourism hub in the region. Emirate has been receiving enormous number of travelers visiting Dubai during the whole year. People visiting Dubai for numerous reasons like business, job and travel. National Geographic ranked Dubai on 99 among world’s coastline, island and beach destinations. International ranking authorities have mentioned that rapid construction and development have put adverse affects on environment. After observing such facts The Dubai Department of Tourism and Commerce Marketing DTCM has been taking initiatives to facilitate green tourism in the nature. State Government has been seriously taking steps to preserve environment by promoting recycling and conservation of scarce resources like water and energy. Developers are trying to construct energy efficient projects to produce lesser carbon and greenhouse gas. Water recycling plant is the major concern of Dubai government. Although it can be huge challenge for UAE to achieve position among environment friendly destinations but with gradual efforts UAE can achieve some significant position among Eco-friendly tourism destinations. Especially two neighboring Emirates, Dubai and Abu Dhabi have been working hard to sustain their natural environment. Going in Abu Dhabi and Dubai won't disappoint you in terms of the things that you would like to see. Buildings are abound almost every corner in the city. Magnificent buildings at that.